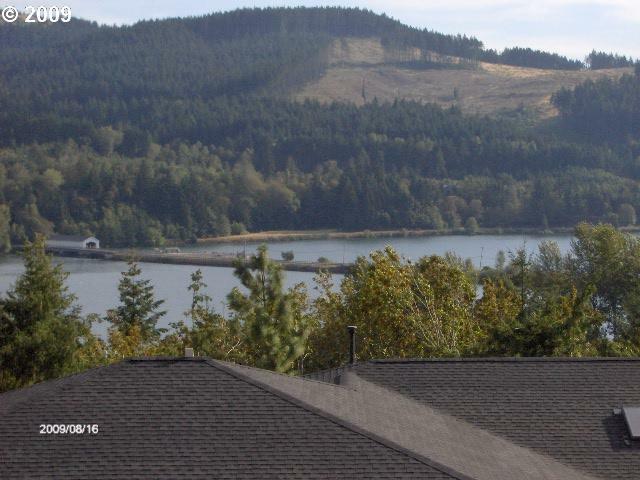 Gorgeous view lot in Sunridge subdivision overlooking beautiful Dexter Lake. Very motivated seller. your views will not be obstructed.Enjoy lt's peace and tranquilty of small town living less than 20 minutes to Eugene.Fully engineered plans approved and ready to go for a 3 bedroom, 2.5 bath 2700 sq ft home.Or build your own plans.